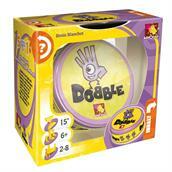 Dobble, a visual perception card game suitable for ages 6 and up in which players race to find the one matching image between one card and another. The images may be different sizes and placed on any part of the card, making them difficult to spot. The circular cards feature an assortment of colourful images of everyday items. Every card is unique and has only one picture in common with every other card in the deck. 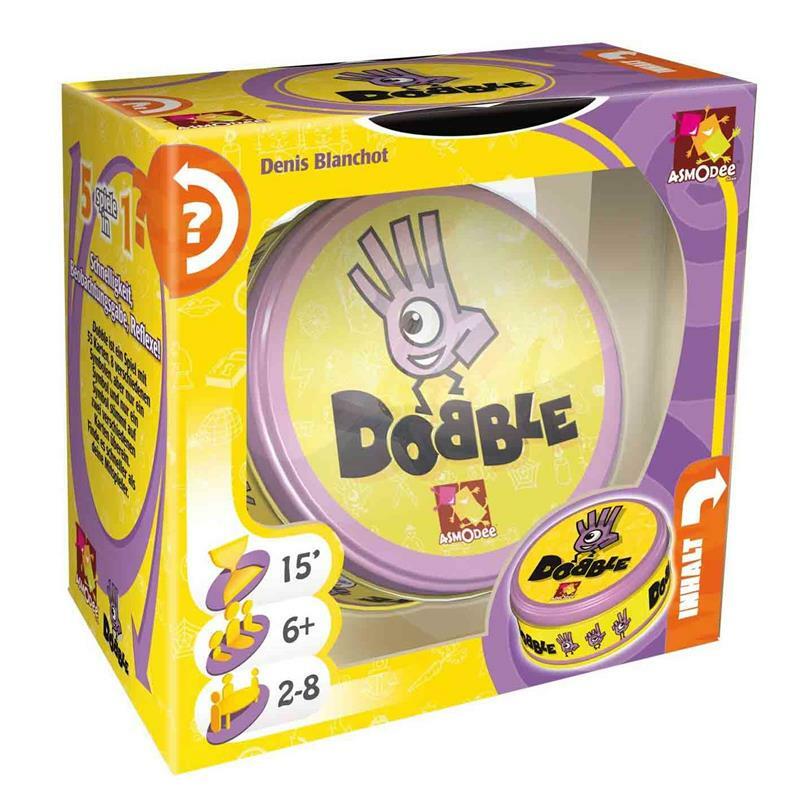 Dobble has 5 mini-games: all of them reliant on speedy observation, creating excitement for children and adults alike and keeping every player involved.